The United Kingdom is home to some pretty amazing sporting legends and athletes who have become famous all over the world for their sporting efforts. The United Kingdom is home to some pretty amazing sporting legends and athletes who have become famous all over the world for their sporting efforts. From footballers to golfers, this list contains the most famous sportsmen that have made their name known worldwide. These guys have made it on to this list for their great achievements in sports as well as their huge social media following. 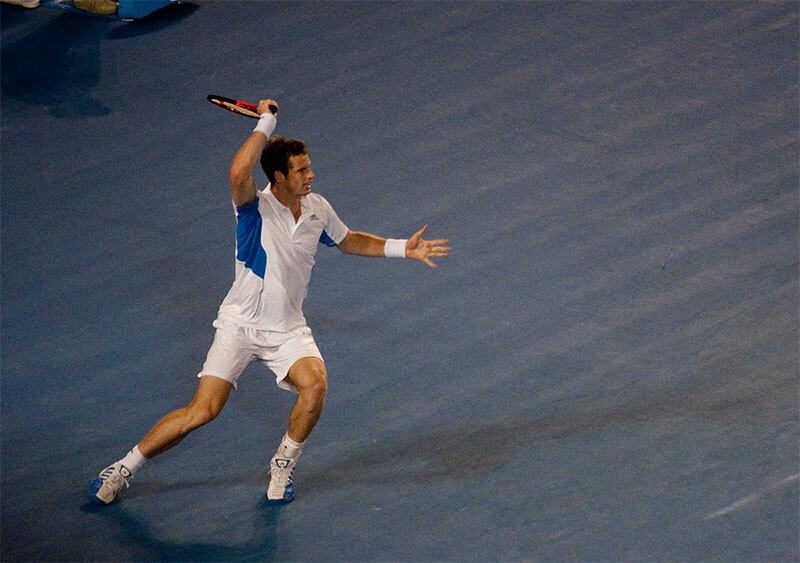 Check out some of the most famous sportsmen that have come from the United Kingdom. Sir Mohamed Muktar Jama Farah, a British track athlete, is the most popular and successful runner in the history of the Olympic Games. 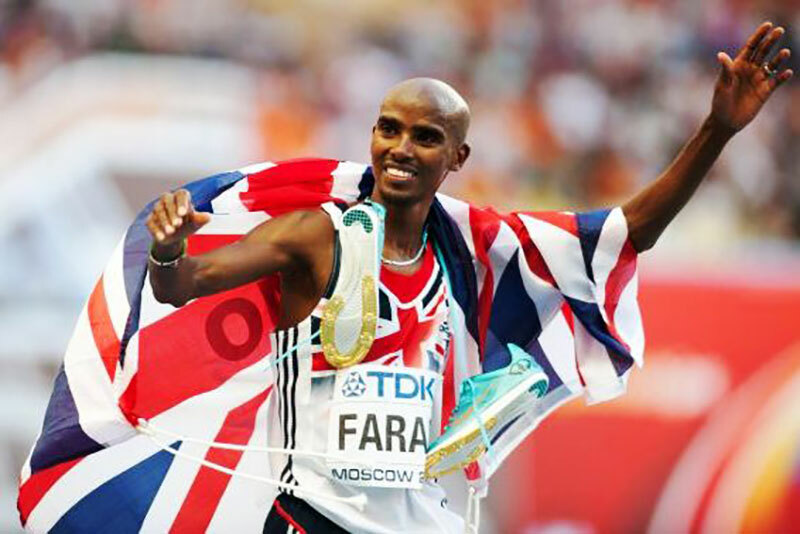 Farah was knighted in 2017 for his spectacular efforts in both the 2012 and 2016 Olympic Games, winning gold medals in not only the 5000-metre race, but also the 10,000 metres. Sir Mo Farah has become a name that every British citizen knows and loves, with his unique ‘Mobot’ celebration after winning his races – this is one cool guy. After smashing his track career earning a total of six World titles, four Olympic golds and four European golds, Farah has now set himself another challenge; marathons. He placed third in the London Marathon at the start of 2018 and we doubt he will stop anytime soon. Any football fan will know the name Harry Kane and he has certainly earned a place on this list. From an unknown teenager to one of the most lethal strikers in Europe, Kane has been a force to be reckoned with in the 2017/2018 Premier League season. He beat his record in this season, scoring a fantastic 30 goals for his team Tottenham Hotspur. He is also the captain of the England team showing he is a man of many footballing talents. 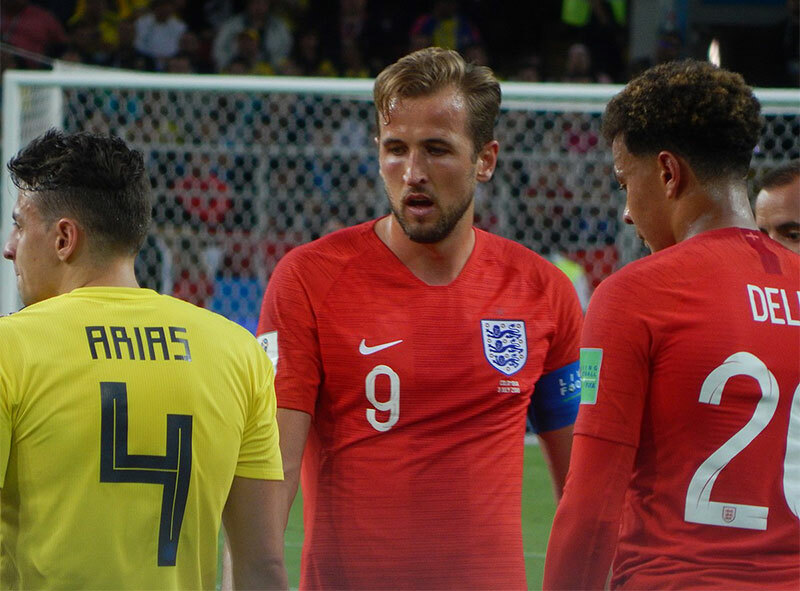 Many believed in 2016 his time to shine had been and gone, but Kane managed to win the Golden Boot again in the World Cup as top goal scorer. Kane is only the second British player to do this since Lineker in 1986. For any fans of sports betting, Kane is certainly the man to get behind. Stakers offers a unique way of betting and even has a cash out feature for those last-minute nerves. Rory McIlroy from Northern Ireland is one of the most famous golfers in the world at the moment and held the number one spot on the Official World Golf Ranking for a whopping 95 weeks. McIlroy has beaten many records in golfing with a tournament record of -16 when he won the U.S Open in 2011 as well as being a four-time major champ. McIlroy has earned a lot of money throughout his career so far and at the age of 22 he was the youngest player to reach €10 million in earnings whilst on the European Tour. McIlroy also participates in the Ryder cup every two years and for both his team and individual achievements was named RTE Sports Person of the Year in 2011 and 2014. This boxer remains humble despite his 21-0 record as well as three heavyweight titles. Joshua also gained a gold medal in the 2012 Olympic Games. Joshua is one of only two boxers to have ever won both a world title and an Olympic gold medal as a British heavyweight boxer; James DeGale being the other. In September 2018, Joshua was ranked the world’s best active heavyweight and so far, Joshua has ended every fight bar one with a knockout. Joshua is definitely not a force to be reckoned with and has worked hard to get to where he is today. Check out some of his best boxing moments here. Any Brit thinking of tennis will automatically think of the name Andy Murray, and the Scotsman has certainly earned his popularity. Unfortunately, throughout 2018, Murray has been plagued with recurring injuries leaving him unable to play in the Wimbledon Championships, but there are plenty of hopes that he will be well enough to participate again in 2019. Murray has won Wimbledon not just once, but twice, and has also won the Grand Slam three times. At his peak, Murray was the world No. 1 in men’s tennis, making all of us Brits proud. He’s smashed many records out of the park including being the first British man since Fred Perry over 80 years ago to win more than one Wimbledon singles title. Even more spectacularly, he also won the singles Olympic gold medal for men in both 2012 and 2016 making him the only tennis player (both female or male) to win two Olympic medals in the singles category. If anyone has earned the right to be called Sir, it’s this guy. Hamilton continues to impress in his formula one career and has certainly been one to watch since his rookie season all the way back in 2007 for McLaren. He is now one of the most successful Formula One drivers in the history of the sport, being a five-time world champion. Hamilton has even earned an MBE for his amazing efforts in the racing world and is known as one of the best drivers of his generation. According to statistics, Hamilton has won more world championship titles and more race victories than any British driver in the history of Formula One, making him the most successful. He holds many records yet to be unbeaten such as the most wins on different circuits and the most all-time career points. Driving for Mercedes, this young driver is only just getting started and doesn’t look to be giving away the title anytime soon. Boxers and golfers alike, the United Kingdom has been home to some of the most amazing sportsmen and these guys have achieved some pretty amazing stuff. With gold medals and plenty of broken records, these men are continuing to make the UK proud of their efforts. Give sports a go and perhaps you could be the next sporting champion!